North Korea has begun “balloon-dropping” propaganda into South Korea ahead of the country’s joint efforts in the upcoming Winter Olympics. Reuters reports that some propaganda leaflets were found in a mountain range near Seoul, believed to be dropped from balloons sent from the North. Kaesong refers to a closed inter-Korean industrial park north of the Demilitarized Zone (DMZ) that shut down in 2016 in protest over the North’s nuclear expansion. Mount Kumgang was a joint tourism venture between the two countries that collapsed after a North Korean guard shot a South Korean tourist. The propaganda effort comes in anticipation of the upcoming Winter Olympics, where the two countries are fielding a joint women’s ice hockey team and parading together under one flag in a symbolic step between two countries still technically at war. However, many South Koreans feel the effort is distasteful and depriving their athletes of the chance to compete. Last month, North Korea also called for greater unification between the two despite the build-up of tensions on the Peninsula over the expansion of the North’s nuclear program. 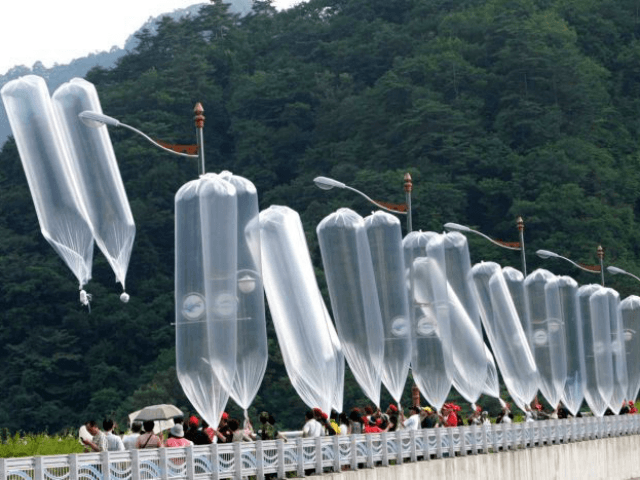 Balloon dropping has long been a popular method of communication between citizens of the two countries, with South Korean activists regularly using them to send money, resources, and information to their Northern counterparts. North Korean authorities have responded by sending own anti-South Korean fliers towards Seoul, colored with anti-South Korea propaganda and aggressive threats. Another method of waging a war of information between the two countries is through loudspeakers, where the South Korean military have long broadcast material such as weather reports, political discussions, South Korean pop music, and the general reality about life in the communist state. The operation has provoked immense anger in Pyongyang, who fears that it will provoke defections from front-line soldiers. After initially threatening to destroy the speakers, authorities have since chosen to use the loudspeakers for their own propaganda effort. However, the quality remains so poor that many cannot hear it.